If you are facing a criminal law charge in Lake Orion Michigan, do not go to Court alone and seek the help of a experienced criminal attorney. Hilf & Hilf, PLC fully and properly defends cases at the 52-3 District Court, Oakland County Circuit Court, Juvenile Court, Federal Court, and courtrooms across the State of Michigan. When your future is in jeopardy due to a criminal allegation it is essential to have a lawyer who knows what he is doing, when going against police officers, detectives, and prosecutors and the overwhelmingly deep resources of the criminal justice system. The quality of your legal representation and results are what really matter to you! Having an experienced attorney with legal acumen, a sharp intellect, who does not flinch against the pressure tactics of prosecutors and Judges, and who is looking to gain your every advantage, is exactly what you need in your lawyer. Retake control of your future by retaining criminal defense attorney Daniel Hilf to represent you or a loved one. In the field of criminal defense there is no tolerance for lawyer mistakes, poor legal advice, ignoring clients needs, or for anything short of respectful and thoughtful legal representation. Legal advocate Daniel Hilf's job is to passionately and justly defend clients who are at their worst possible moments, no matter what the charge or charges, and to assert well crafted individual defenses for either trial or to secure beneficial resolutions. Attorney Daniel Hilf is always on his client's side, and works extremely hard to prevent the legal system from running out of control to the detriment of clients. False accusations are the ultimate injustice, because they flip the justice system on its head and treat a "victim" like a "Defendant". Law enforcement practices and techniques have problematic flaws that sometimes lead to wrongful arrests. The reasons behind false accusations are vast and include: mistakes made by police officers; misguided and wrong assumptions; lies; deception; prejudice; bias; persons that are purposely targeted by police officers due to past contacts (the "usual suspects" mentality); police officers jumping to false conclusions; and violations of Constitutional rights. Unfortunately law enforcement often believe their job is building cases against individuals, instead of looking at matters into manners with neutrality. The law enforcement mentality sometimes entangles the innocent along with the guilty into the judicial system. Attorney Daniel Hilf pledges that he will work long hours to fight for justice and great results. Another problematic criminal law issue is the practice by prosecutors of overcharging cases. Overcharging happens when the prosecutor decides to prosecute a more serious charge, even when the truth is that the actual offense was not as bad as what the prosecution pursues. For example, a person who intended to personally possess methamphetamine sometimes is charged with the more serious crime of possession with intent to distribute methamphetamine based upon factors such as: the amount of money allegedly possessed by the Defendant when arrested, false allegations from a confidential informant involving transactions, and the quantity allegedly possessed. In some cases the defense is to prevent a client from being convicted of a wrongfully inflated accusation, by litigating for the proper lessor charge. The defense in other cases may be fighting for an acquittal of all charges. The defense and trial strategy is decided by you and your lawyer after considering all the facts and circumstances of the case. Protection of clients' rights, well crafted litigation, compassionate and caring representation, placing issues in the correct light,, and a fighting for the best results all play significant roles in the legal defense of attorney Daniel Hilf. Please contact attorney Hilf at your earliest convenience when you need proper and experienced legal representation. Do you have to go to court in Oakland County or elsewhere in Michigan? Lawyer Daniel Hilf is prepared to offer you professional legal representation and take immediate action for you, if retained. Make sure you carefully select the lawyer who you are interested in hiring. Get to know your lawyer! 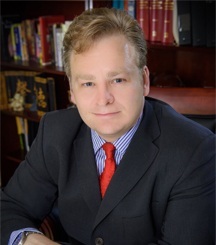 Your examination into the career background of lawyer Daniel Hilf will uncover the following facts: he has over 20 years of experience; he has over 100 jury trials and countless bench trials; he has many satisfied current and former clients; he is referred by other lawyers and former clients; and he has won national awards for his legal advocacy. It is time to start thinking positively about your legal predicament. It is possible for you to hire a top rated attorney, because in many instances payment plans are offered. Also Hilf & Hilf, PLC conveniently accepts credit card payments, along with other accepted forms of payment (debit cards, wire transfer, money order, cash, cashier's checks and personal checks), giving you flexibility in payment options. Contact Hilf & Hilf today to schedule a confidential attorney consultation.